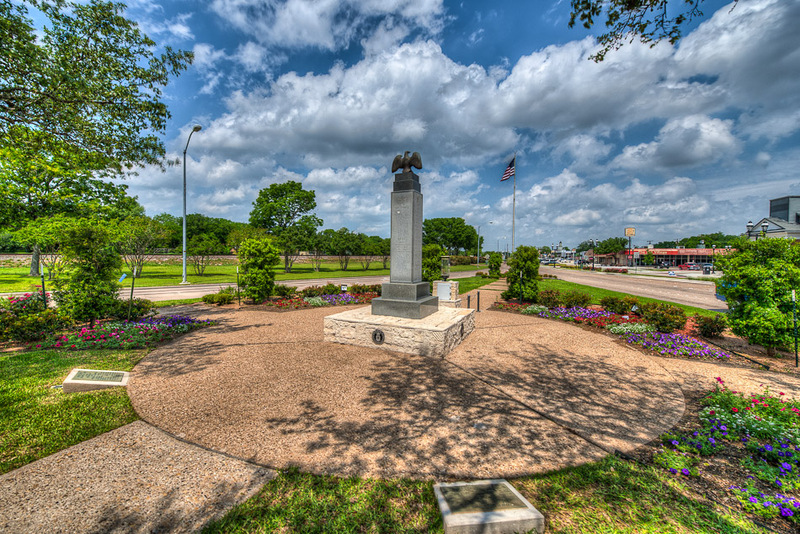 On Memorial Day, May 30, 1969, the Duncanville War Memorial was unveiled at the intersection of Main Street and Center Street. It is a polished granite monument about sixteen feet high with a brass bald eagle with a two-foot wing span atop. The eternal flame was lighted also. Twenty-two names were originally inscribed on the monument representing Duncanville’s fallen soldiers from four wars. Congressman James Collins and Mayor Robert Armstrong delivered the principal addresses. Congressman Collins also presented a United States flag that had flown over the Nation’s Capitol to commemorate the ceremony.